Our agency was established to provide more progressive and humane care for federal inmates, to professionalize the prison service, and to ensure consistent and centralized administration of federal prisons. 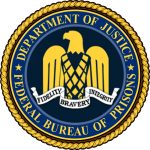 It is the mission of the Federal Bureau of Prisons to protect society by confining offenders in the controlled environments of prisons and community-based facilities that are safe, humane, cost-efficient, and appropriately secure, and that provide work and other self-improvement opportunities to assist offenders in becoming law-abiding citizens. We are correctional workers first, committed to the highest level of performance. We embrace diversity and recognize the value and dignity of staff, inmates and the general public. We demonstrate uncompromising ethical conduct in all our actions. The Federal Bureau of Prisons offers all applicants the same opportunities. After we have decided for you, you will be invited to the main administration in Amada. The travel costs for an arrival over 250 miles takes over the FBP.